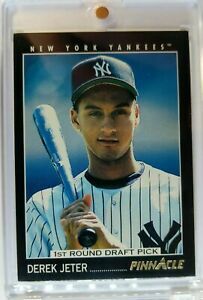 Derek Jeter RUBY 1992-1993 VERY RARE RC GREENSBORO MINOR LEAGUE S.P. YANKEES. 100 Card Vintage Lot 7 Unopened Baseball Packs 1987-94 in Box Griffey Jr Rookie!